Most of us know that one of the easiest ways to get through a flight is to drink, but there’s a line passengers can cross with drinking and if they cross it, their flight isn’t going to be any easier. In fact, boozing it up too much on the plane can make a flight a lot more difficult. 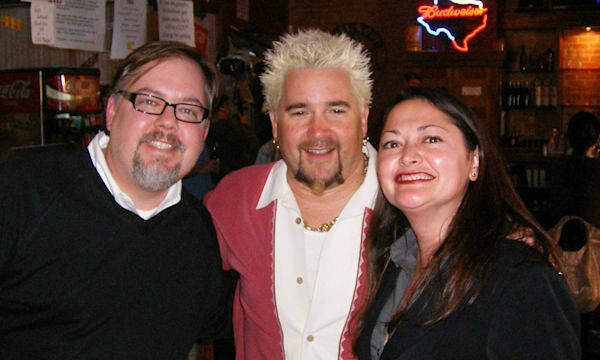 Celebrity chef Guy Fieri reportedly engaged in a heated argument with his hair dresser after drinking on a flight to SFO. Take note, travelers! 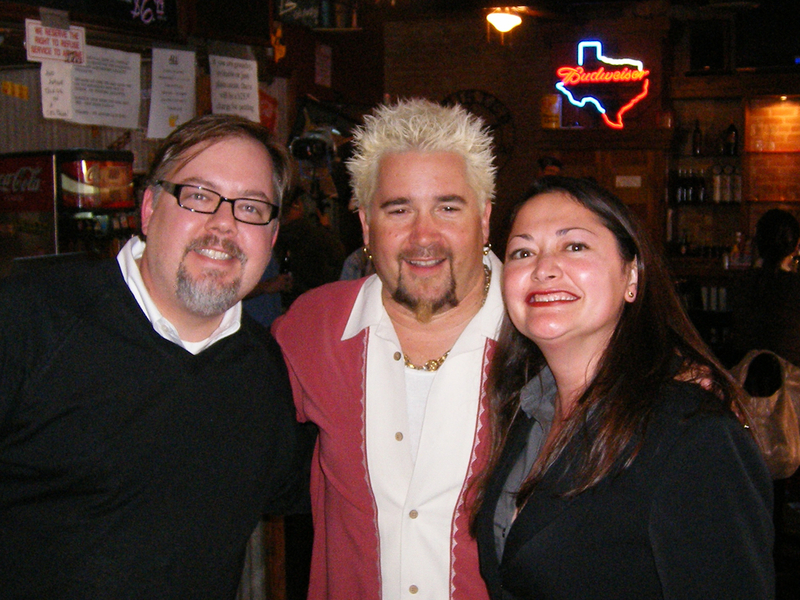 Keep your drinking in check when flying lest you wind up arguing with your hairdresser after landing like Guy Fieri. Airline seats continue to be a hot issue with air travelers. Instead of cramming into a smaller space with less legroom, some of us pay extra for a premium coach seat. Airlines like that idea and have offered a number of profit-boosting options, bundling early boarding, a prime location and more as part of the deal. Now Airbus has a plan to replace a row of three 18-inch-wide seats with a 20-inch seat on the aisle and 17-inch seats for the middle and window locations. “The wider seats may be offered at a premium for those who require more room or as a reward for frequent flyers,” says an ExecutiveTravelMagazine article, noting that a number of airlines are indeed interested in the new seat configuration. The Airbus option comes at a time when airlines are taking a serious look at seating in both existing and new aircraft on order. United began featuring slimmer seats that grant more legroom on its Airbus fleet in May. Those proved so popular that United will roll out the change to all of its Airbus planes eventually.Comfort is apparently not all about room either. Delta has dozens of new Boeing jets with highly-requested power outlets at seats throughout the plane. Snakes on a plane is a ridiculous movie concept, but the release of the movie has certainly helped us all to pay a bit more attention to real-life snakes on a plane scenarios. A Qantas flight from Australia to Japan was delayed for a full day recently when a Mandarin rat snake was discovered on board. Mandarin rat snakes are nonvenomous and small — adults don’t usually grow any longer than seven inches, though this particular snake was eight inches long. The snake was removed and eventually euthanized. It was an airline mistake and the number of tickets sold is unknown, but a glitch on the United Airlines booking site offered some really good deals yesterday. Only the automatic airport fees and other surcharges added to flights by airports around the country were included, not the price of the flight. The flash sale-like offerings were caused due to an error loading fares into the United computer system. This is not the first time this has happened. A similar mistake happened in May 2002 when a fare sale accidentally appeared as a $5 round-trip ticket for about 45 minutes. In 2008, United accidentally stopped charging a fuel surcharge that was as much as $130. In that case, the airline honored the price of tickets sold without the surcharge. But what about those unbelievably low fares? Will United honor the obviously incorrect pricing? “As always, we will do what is appropriate,” United Continental Holdings Inc. spokeswoman Megan McCarthy told the Huffiington Post. Are Hassle Free Airlines Truly Possible? A new airline in Memphis is looking to take the frustration out of flying, letting travelers skip airport security and show up at the airport just minutes before their flight takes off. Southern Airways Express has been operational for four months and the carrier’s CEO believes it’s the answer to many passengers’ woes. “You’re going to be able to walk from your car less than 50 yards in most cases to the aircraft without having to go through any TSA security hassles. You only have to get here 20 minutes before the plane departs,” CEO Stan Little told a local TV station. Right now, the airline serves 10 regional domestic routes, but it’s planning to expand and may even add an international flight later this year.For passengers fed up with the nightmare that air travel has become, it all sounds too good to be true. Just the other day we told you about the disgraceful report card the TSA received following a government audit which found that a number of security screeners were sleeping, stealing and taking bribes on the job. The story prompted many readers to share their own tales of humiliation, frustration, or anger at having to deal with airport security. The desire for a hassle-free airline is clearly strong, but can such a carrier truly take off in this day and age of global threats and terrorism fears? Southern Airways has managed to bypass TSA checks by flying in and out of smaller regional airports that don’t yet have strict security protocols, and any route expansions would likely involve destinations with similar secondary airports. Still, flying out of alternate hubs might be a small price to pay for travelers who have had enough of body scanners, bag searches and liquid restrictions. What do you think? Can an airline like this be made to work?